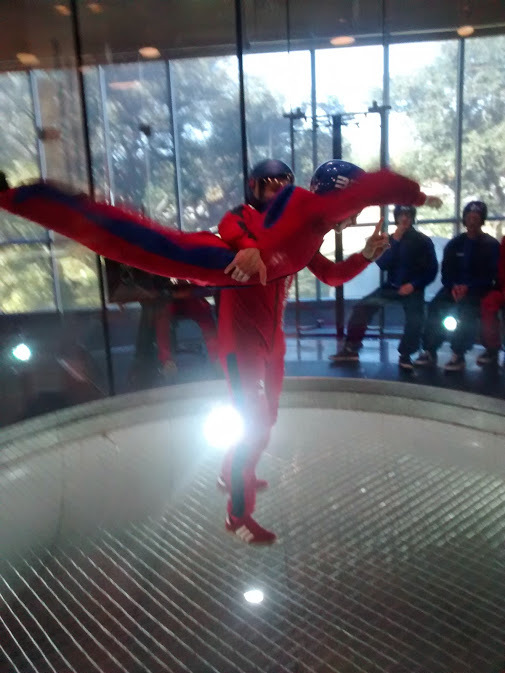 As one of the more unique activities on our Summer Fun Checklist, a trip to iFLY – Austin’s one and only indoor skydiving experience – is sure to be memorable. 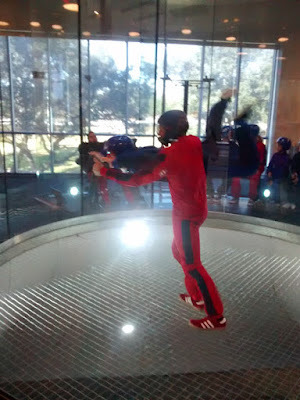 Located less than 20 minutes from downtown Austin, this adventurer’s dream makes an easy outing for all ages in your family. Just getting your very own flight suit is a kid-pleaser, to say nothing of soaring (with some serious speed) some 20-feet off the ground! Looking good in the iFly gear and ready to FLY! Prior to entering the ginormous wind tunnel that fuels your fun, you’ll watch a short video and receive lessons from your instructor. Then it’s off to suit up – complete with helmet, goggles and the occasionally needed hair tie. 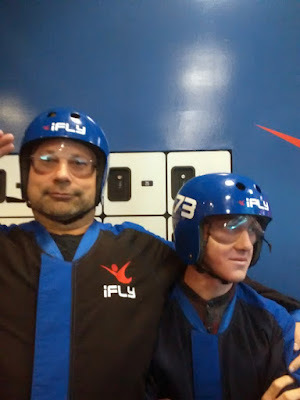 And in case you’re wondering about the young ones in your group, iFLY boasts that anyone aged 3 to 103 can fly – and they can back up that brag. We witnessed firsthand a 3-year-old-baby-bean of a girl take to the indoor skies after watching her older siblings – and she went higher than anyone else! Cost: Package options start at $69.95 for 2 flights. All packages include gear and instruction from certified trainers.